This clutch packs in some great features! 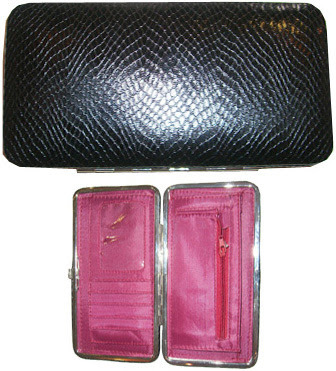 & the trim & cute look of a snakeskin clutch! Get one for $34 at AmiciAccessories.com!